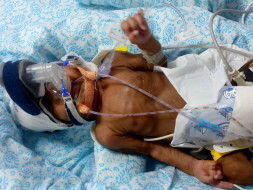 Mr. Athikesavan the father of the baby is taking care of his family by working as a House keeper in a private concern. Since he is the only earning member his income is not sufficient to afford for the child’s treatment. 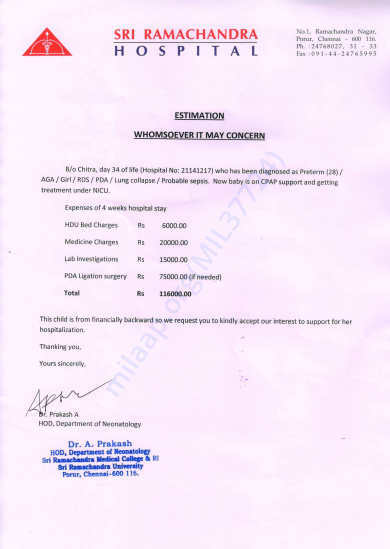 Therefore we kindly request you to provide financial assistance to save the little child’s life.